We have two choices when it comes to today's youth. We can either do what we can to help them navigate through life, or we can sit back and complain about how they are so disrespectful, lost and hopeless. With this book, I am only trying to do my part to help our youth succeed and become productive citizens of BOTH God's Kingdom and our society. Handpicked to Serve #TheKing is based on Daniel 1: 1-5. 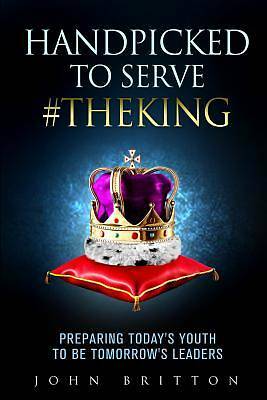 I believe that if we spend time with our youth and teach and model leadership skills and competencies to them that they will be equipped to serve #THEKING Each lesson is Holy Spirit inspired, biblically based and centered around characters in the Bible. The lessons are structured so that they are easy to teach and easy to understand. The Scriptures are included with each lesson for those youth who do not have access to a Bible. Youth will be challenged to write what they learned from the scriptures relating that lesson to today, and then share how they will apply it to their lives.